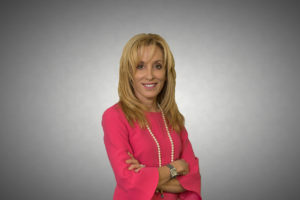 Jane Floyd out of Tampa, Florida is not only one of NFM Lending’s top mortgage loan originators, but one of the top loan officers in the country. Jane and her team are on pace to close nearly 900 loans in 2017. She has been with NFM for three years and a loan originator for 22 years. She is also a CORE Coach. Listen to Jane’s interview with NFM’s Chief Business Development Officer, Greg Sher as they discuss the secret to her success. This is NFM Lending’s first podcast of their new series, NFM Now. To download the podcast on iTunes, click here. For more information on Jane and her home lending team, visit nfmlending.com/jfloyd. Speaker 1: Welcome to NFM Now, a podcast dedicated to mortgage industry related news and information, showcasing interviews with some of the top thought leaders in home lending. NFM Now is a production of NFM Media, a division of NFM Lending. NFM Now is hosted by NFM Lending’s Chief Business Development Officer Greg Sher. Greg Sher: It’s a pleasure to be joined by one of the top originators in the United States of America. Happens to be an employee of NFM Lending, Branch Manager out of Tampa Florida, Jane Floyd. Jane, thanks so much for your time. How are you? Jane Floyd: I am fabulous, and thank you Greg, for that great introduction. Greg Sher: I appreciate that, it’s well deserved. Let’s just start at the beginning here. You had your own company, Diversified Home Mortgage for 22 years, and made a very big decision in July of 2014 to join forces with NFM and let go of that ownership piece. What went into that, and what have you experienced since then? Jane Floyd: Well, honestly Greg I mean it was a huge decision, it was a very difficult decision for me to make because I was extremely happy being a broker. I honestly probably wouldn’t have even explored the opportunity had I not been pushed by my coach, to get out of the broker world. At that point I just started interviewing different companies, Greg, and … ‘Cause everybody said, “Oh, you’re going to make more money, it’s going to be easier.” I’m like, “I already make a lot of money, and I felt like it’s already … I have great relationships with the brokers that I had.” Anyway, I ended up choosing NFM Greg, because I felt obviously it was the best fit for me for several reasons. Probably the most important one was from the standpoint of communication, is really important to me. I just felt like, you know how when you just, you find that fit and you just know in your heart? I was about ready to go somewhere else, and once I met everyone at NFM, I just felt like I was going to have the … I hate to say this, but the control. Meaning, I’m kind of a control freak because of my clients are so important to me, and I had to know that there weren’t all these layers. You guys have been absolutely amazing. I feel like I’ve been given the support that I knew I would get. I just kind of felt that, Greg. That’s why I chose NFM, because of the people, and you’re one of them. Greg Sher: Awe, I appreciate that. That’s really nice of you to say, and your growth has just been amazing. As I look at your numbers, you joined us halfway through 2014 as a branch. You close over 300 units, and then the next year you doubled that. Then last year, close to 900 units. Again, this year, you’ll eclipse that, and that’s with 31 employees. What’s it like to manage your own personal production, being a top producer who averages about 25 loans a month yourself? Then also, managing a team that closes even more than that. Jane Floyd: Well I think what’s it like, well it’s challenging at time, but honestly Greg it’s all about the people that you put in place. As I’ve grown, and I never would have … Prior to coming on with NFM, I’ve always been a fairly high producer, and have been more focused on my personal production. What NFM allowed me to do was, which at this point in my life Greg, it’s really important to me. I love helping people, and I love helping loan officers grow their business. Coming with NFM, with the support that I’ve been given, I’ve been able to do that and how I’ve been able to do that is really putting the right people on the bus, Greg. For instance, having a sales manager that can manage sales, I coach and lead, he does that. Having an ops manager that people can go to. It’s really just putting … You have to leverage yourself, right? If you want to grow. That’s pretty much how I’ve been able to do it. Greg Sher: Yeah, you mentioned coaching. Before we get into that, I just want people to understand, just kind of put your production in context. You personally this year are projected to close right around 450 units. That definitely puts you in that upper echelon of top one percent, and that doesn’t even include the people on your team who are also closing more units. Again, let’s go back to coaching. You mentioned that, how important of a role does coaching play, both being coached, and also you are a coach at the same time? Jane Floyd: Personally for me, I think when you teach, you learn, right? Being a coach in the core, honestly that in NFM are two of the best things that ever happened in my life from a business standpoint, to take me where I am. I coach 12 other students that are in the core throughout the country. I have two hours each Thursday, groups of three. Really Greg, it’s about accountability, right? They’re held accountable to the metrics of the core, I hold them accountable, and then I also have a coach. I personally have certain disciplines that I have to do every week, right? It’s that accountability. Like anything, you want to lose weight, you gotta have a personal coach, right? For me, coaching, I think that’s probably the most important thing, and the accountability piece of that. If you’re paying for something Greg, you’re paying to be coached … Now, my loan officers in my branch don’t pay me to be coached, but if they know that I’m going to look at certain forms that they turn in, and hold them accountable to do certain disciplines so that they can hit their goals, they’re going to do it. Greg Sher: In all the years that you’ve been coaching now, coming up on a handful of them with the core, when you look at your most successful students, the ones that really take it in and knock it out of the park, what are some of the attributes that they have? That they share, common attributes of some rising stars that you notice. Jane Floyd: I think probably one of the top ones, Greg, is successful people in any business, I think that they execute quickly, right? Like for instance, you. You went with me to a sight visit somewhere, and you and I learned certain things, and you went back, and you’re like, “Boom, boom, boom. I’ve already implemented this.” Does that make sense? I know … What I think is I look at in the core, and even in my area, I look at successful loan officers, that they’re … Even if it’s not perfect, Greg, if you can at least implement something, and then stick to it, I think that probably is number one, is execute fast. Extreme discipline, Greg. I think that there are certain things that we have to do, right? I don’t care what the business is. For me, I know that I have to prospect X hours of week. I know what that looks like, whether it’s phone calls, meetings, what the core calls, “Break breads.” I have to get those done. I hold myself accountable to a calendar, and to those disciplines. We all fall off a little bit, right? But I get right back on. For instance Greg, I’ll tell you in the past 60 days, I’ve personally have had more personal challenges in 60 days than probably in the past seven years, Greg. Nobody knows it, except people that are very close to me. I still, every single day, am making my calls, I am going to my closings, I have my appointments, I’m teaching my lunch and learns, right? I’m keeping the disciplines. I think those are honestly a couple of the top attributes of what makes someone a successful loan officer. Greg Sher: Well first of all, I’m sorry you’re going through that rough patch, and obviously hope that the sun shines bright for you here as quickly as possible. Jane Floyd: Of course it is. Greg Sher: Yeah, okay. Well I know that, you’re a total survivor. Jane, looking at … I want to look at one particular aspect of your business that really resonates with me when you talk about it. I want you to share with our Loan Originators and anyone else who might be listening right now, is just how deep you go with your referral partners. And what it takes to get a new referral partner. If you could touch on that, how close and personal you get with your top realtors, then what it takes to bring more into that sphere of influence. Jane Floyd: Okay, so we’ll go with what it takes to get them first, and then how deep. What it takes to get them is, again, it’s just I have my lists. I know who I’m calling, right? I’m qualifying them before I go after them, and then it’s just extremely followup. Whether it’s with phone calls, with emails, with somebody else on my team calling them and trying to setup appointments. It’s not giving up. I mean, I have agents, Greg, that I have literally chased for three and four years, that, okay, even though they were happy with their loan officer, once they know that I have followed up then they’re going to come to me. What it takes to get them, and I think that’s probably one of the biggest problems I see loan officers, they have that call reluctance, Greg, or that fear like they don’t want to call. It doesn’t both me if someone doesn’t call me back. I will just keep calling unless someone tells me not to call, and I will tell you that very, very rarely, rarely happens. Number one, you’ve got to have a target list of who you’re targeting, and then you have to have a followup plan, okay? Whatever that’s going to be. Whether … Sometimes I’ll send silly little gifts out, but just constantly followup. Then it’s keeping them Greg, because everybody’s out there doing the same thing, right? Especially now, it’s slowed down. You asked me how deep. For me, I only want to work with people that I like, I’ll be honest with you. At this point in my career, I want to like the people I work with. I go really deep, Greg. I think that means that I know them, I am a really good listener when I am with somebody. In fact, I had actually two today. One is a brand new agent, just extremely deep. One hour conversation, I know everything about her now. I know her goals, I know her passions in life, I know her why, I know why she loves being in real estate. That’s a new relationship that I went really deep with, and now it’ll be extreme followup with her. Some of my agents, Greg, I’ve been working with for 15 and 20 years. They know me as a person, Greg. I think that sometimes when we get in the business … Oh my gosh Greg, I’ve made so many mistakes that I’ve learned so much from that, it was just more like you’re just throwing it against the wall and seeing what will stick. For me now, it’s rather than not casting as wide of a net, but just going deeper, if that makes sense. Greg Sher: Yeah, it all makes perfect sense. Lastly, just out of curiosity, people listening might be wondering, “Well when she calls an agent and she is aggressively pursuing them with that never say die attitude,” are you usually going in with kind of a soft connection? Meaning, do you do research to see if they know somebody that you know, so you can kind of use that to wedge your way in? Or is it most of the time, just ice cold? Jane Floyd: That’s a great question Greg. For me, it’s rarely ice cold, because I get my leads either from other agents, from the listing side of deals. When you are going in, the important part is, you never sell on the phone. For instance, I made a call 30 minutes before this call, to a young kid … Young kid, I say young kid, he’s probably the same age as my son. I work with his mother, and he’s a great agent, and he’s … I’m sure he knows my name from her. The call went like this. It just went, “Hey Matt, Jane Floyd with NFM Lending. I know you don’t know me, but your mother says that we have to meet. I know you’re super busy right now,” and he was. He answered the phone, he was on the way to a closing. “You’re super busy right now, I know that you’ve got another lender right now that you love, but Matt, I just want to sit down, buy you a cup of coffee, talk about how maybe we can help each other grow our business.” It’s just very to the point, and having confidence like when you call somebody, that, “Hey, we need to meet.” Does that make sense? Greg Sher: It does, how did the call go? What did he say? Jane Floyd: He said, “Absolutely.” He said, “Absolutely.” I know, right? Greg Sher: Yeah, yeah. Well that’s great. That persistence certainly pays off, and has paid off in spades for you, and continues to pay off. One thing about NFM that I love so much Jane, is the fact that it’s so open. What I mean by that is the communication is open. If someone were to come to NFM, your playbook is wide open. You would spend their time with them, you would try and teach them the things that you know. A lot of companies aren’t like that. A lot of companies, their locations kind of hold their trade secrets close to the vest. Jane Floyd: Couldn’t agree more, and that, absolutely I would that. When you ask me, that was the reason I went to NFM. I mean, it is just unbelievable, the synergies. Even like I call other loan officers with NFM, “Hey, help me with this.” I know, because I coach some of these students, not every company is like that Greg. Greg Sher: Yeah, there’s no question about it. Well Jane, thank you so much for your time. I’ll let you get back to conquering the world, and look forwarding to catching up with you soon. Jane Floyd: Thank you Greg, have a great afternoon.